WESTPORT — After hours of contentious debate, the Representative Town Meeting approved $840,000 to fund an ADA-compliant restroom facility on Compo’s South Beach early Wednesday. The 26-8 vote earned acclaim from disability rights advocates, but also came amid criticism from some Westporters opposed to the building’s size, location and cost. The road to the restroom’s approval wasn’t a quick or easy one. A 2013 Compo Beach stakeholder meeting identified the need for restrooms on its South Beach, which currently only houses port-a-potties. In the five years since then, at least 21 public meetings and hearings with various boards and commissions were held to gather resident feedback about the restrooms, Fava said. 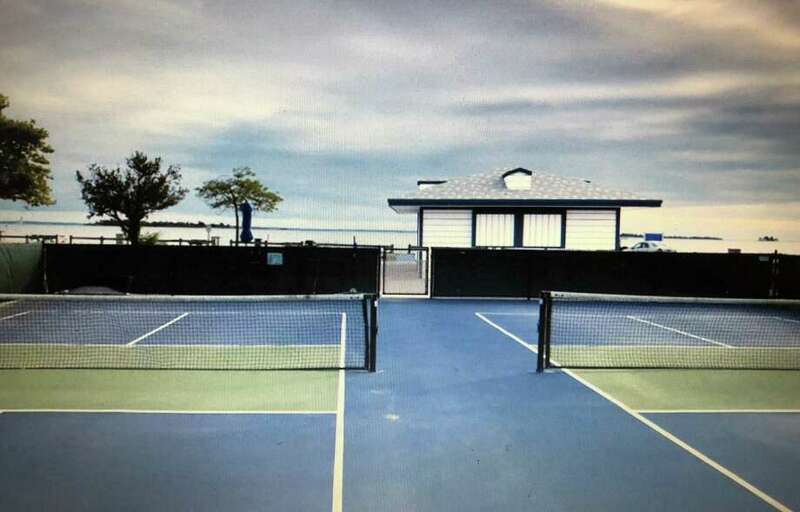 The proposal was met with opposition from many residents, including a group of pickleball players. “This is not the cost that the people want to spend and I guarantee you it’s not what the majority of the town wants,” Westport resident Jay Walshon said Tuesday. “To me, it’s too big, it’s too intrusive, and it’s too much money,” said RTM member Carla Rea, who voted against the project and echoed many of Walshon’s concerns. Former Public Works Department Director Steve Edwards, who served as a consultant to the town on the bathroom project, said the size of each stall was designed to ensure families and people with disabilities can comfortably use the restroom. The high cost is a product of FEMA requirements for the construction of new buildings in floodplains, he said. Several residents and RTM members said they were concerned about whether the expenditure would threaten the town’s ability to address the problems at Coleytown Middle School, which is closed for the year due to mold. “This expenditure will not jeopardize our response to the school project, or any other capital project that ensures public safety, maintains and repairs our aging infrastructure, or enhances the brand of Westport,” Marpe said. Resident Patty Haberstroh, who last year was diagnosed with ALS and has since lost her ability to walk, also spoke in favor of the proposal. “We in the disability community find it hard enough to come here. We have a right to express our opinion. We come on our own to advocate for our need, and I just hope we can end the division and rancour in this community unlike anything I’ve ever seen in 28 years. We are better than this,” Haberstroh said. The new bathrooms should be ready in time for the coming beach season, Fava said.